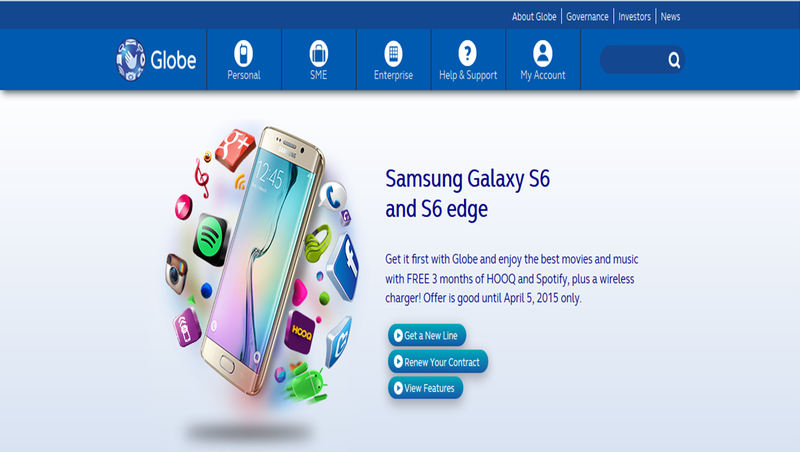 Globe opens the pre-order page of the Samsung Galaxy S6 and Galaxy S6 Edge in the country, making the telco the first to launch a reservation portal for the upcoming Korean flagship devices. The Ayala-led ICT service provider launches the said page for their postpaid and Platinum customers. The Samsung Galaxy S6 duo will hit the shelves of the international market on April 10 and it will come to the country a week after on April 18. Globe is one of the first telcos to make this bid. Initial Plans for the Galaxy S6 includes the new myLifestyle Plan 999. This plan will give you a 32GB Galaxy S6 with a monthly cashout of Php 825 for 24 months (total monthly service fee of Php 1824). It comes with unlimited calls and texts to Globe/TM, GoSURF299 with 1.5 GB of data, unli Facebook, 3-month subscription to Spotify Premium, 3 months of HOOQ, Gadget Care, one month navigation bundle and 1GB of Globe Cloud. Meanwhile, the popular Samsung Galaxy S6 Edge will come with Plan 1499 with a monthly cashout of Php 850 for 24 months (total MSF of Php 2349). This also comes with unlimited calls and texts to Globe/TM, GoSURF499 with 3GB of mobile internet, unli chat and Facebook, 3 months Spotify Premium, 3 months HOOQ, Gadget Care, Navigation Bundle for a month and 1GB Globe Cloud. Globe is also offering the Galaxy S6 Edge in its newly announced Platinum Lifestyle Plan 4999 with unlimited calls to all networks, 15GB of mobile data, free Facebook, Viber, Gmail, Yahoo Mail, Evernote, Globe Cloud, worldwide roaming and all other Platinum perks. 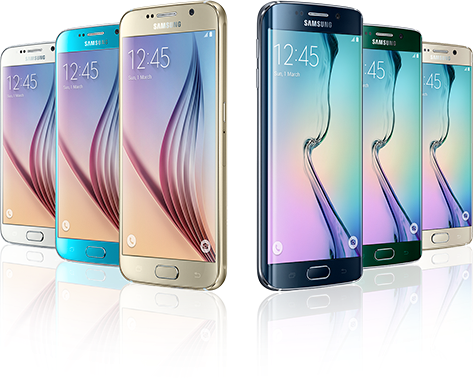 The Galaxy S6 and S6 Edge are the Korean outfit’s bid to regain the bigger smartphone market share. These are the first Galaxy S flagship to sport a metal frame and glass construction. Customers who will pre-order online will have a free limited edition Samsung wireless charger and up to 15 percent discount voucher on Galaxy S6 and S6 Edge accessories. The Galaxy S6 and S6 Edge will be available for pick-up on April 18 at designated Globe Stores nationwide. Check out their pre-order page here.